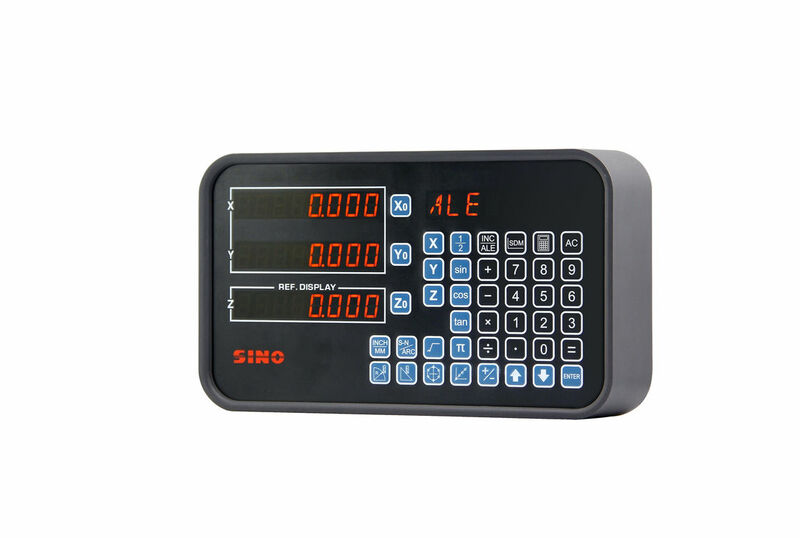 We own the brand of SINO and GDXH for the Digital Readout product series. Also OEM is open to customers based on quantities. The Digital Readout series use the advanced technology, quality committed, Unimetro offers the best products and service, to ensure an excellent product experience for the users. The XH-3 series digital readout 3 axis systems are universal functional digital readout system used on the milling machine, lathe, grinding machine, EDM, wire cut etc. The Lathe application is with the spindle constant speed control function, makes the machine much better performance. Single chip design, with powerful function, stable performance, low error rate. Independent components layout, limited function, unstable and high error rate. Using Mingwei power supply unit from Taiwan, international standard, stable output voltage, strong capability of anti-noise. Using ordinary components, unstable voltage output, low anti-noise performance, low using life cycle. Using spring press button, more than 100,000 times press life cycle. Using membrane keys, life cycle only 10,000 times. Using PC material membrane, the wear resistance capability up to tens of thousands times, long life cycle. PVC material membrane, the wear resistance capability only thousands times.